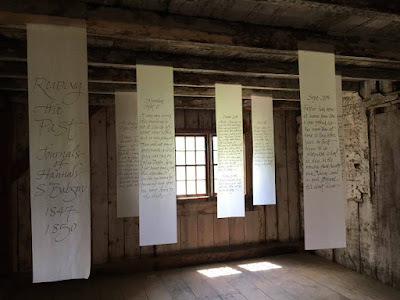 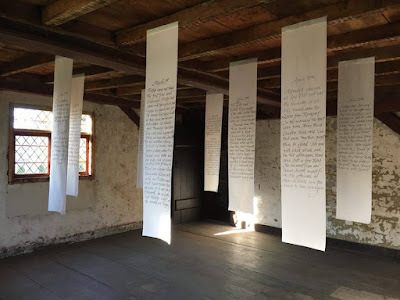 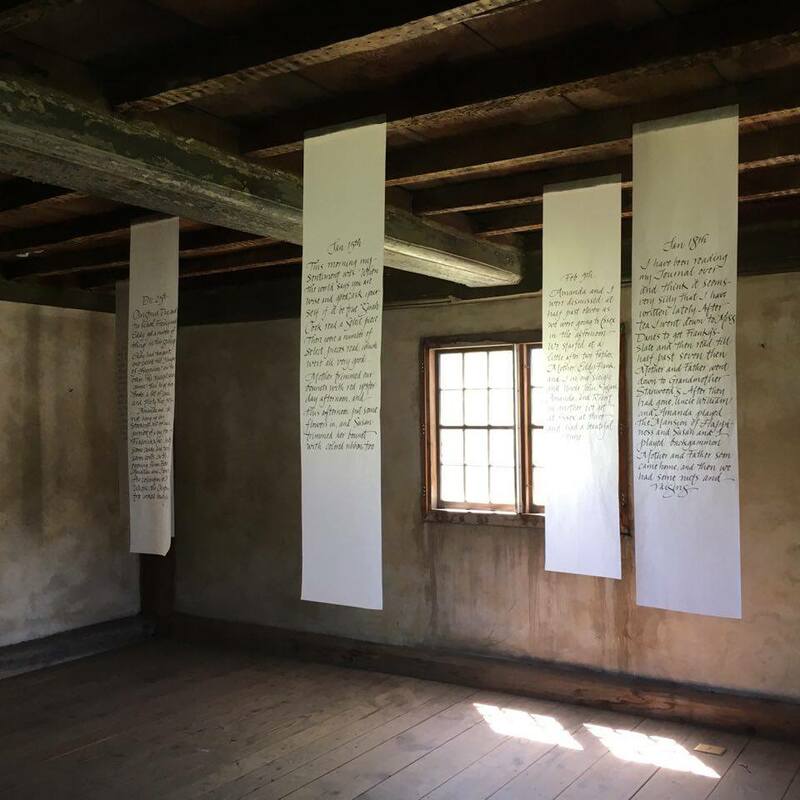 I thought today's post would be a long one about my installation at the White-Ellery House yesterday but it turns out that one long day of lettering and installation followed by a second shorter day of tweaking and photography followed by a third day of meeting visitors and then taking everything down means that there is no mental energy left for writing about it. I will leave that for next week. 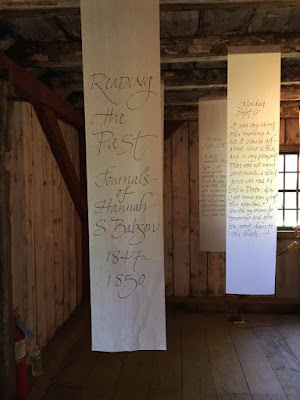 In the meantime, here's a few photos of the installation with texts from the journals of Hannah S. Babson (starting at age 12) from 1847–1850. 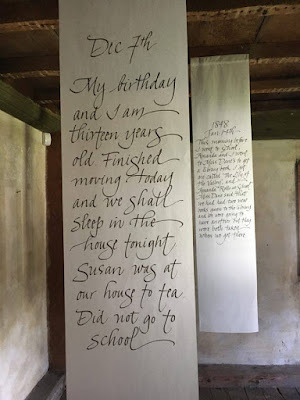 Later I'll be posting images of all 33 texts on flickr so that you can read her words but right now it's time to decompress.